Sleep Center in Thousand Oaks | Advanced Sleep Medicine Services, Inc. The Advanced Sleep Medicine Services (ASMS) Thousand Oaks sleep center conveniently diagnoses and treats patients of all ages with a wide array of sleep disorders, including sleep apnea, insomnia, and more! Our goal is to help you get the sleep you deserve, so you can return to living your life to the fullest. Finding our Sleep Center in Thousand Oaks is easy. We’re located a few blocks away from Janss Marketplace and adjacent to the Thousand Oaks mall. 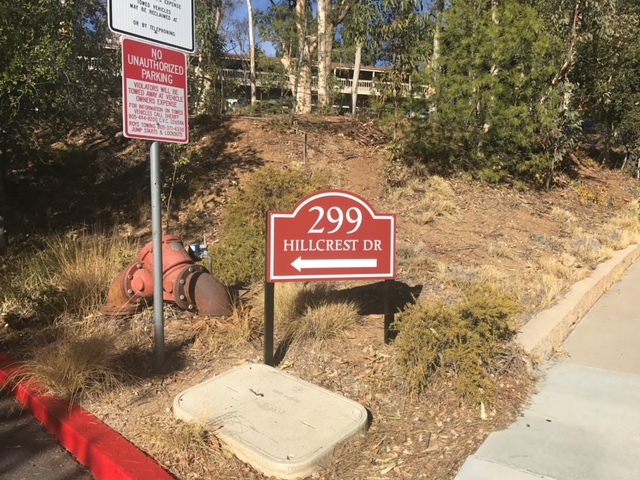 Turn Left on Hillcrest Dr.
Drive uphill to the back of the large building. You will see a “Sleep Lab” sign with an arrow on the right-hand side. Since 1994, the sleep experts at ASMS have been helping Conejo Valley residents get the restful, refreshing sleep they deserve. In our sleep lab in Thousand Oaks, we’ve diagnosed and treated thousands of people living with sleep disorders. Using only the most modern techniques and equipment, we diagnose and treat your sleep disorder, helping you get back to the normal night’s sleep you deserve. If you spend your days feeling half asleep and your nights awake, don’t worry, we can help. Which Services does your Sleep Lab in Thousand Oaks Offer? At the ASMS sleep lab in Thousand Oaks, our sleep doctors and specialists offer consultations, as well as a wide array of services, including sleep studies and a sales department for all of your supplies. As the names suggest, an in-center sleep study takes place in our sleep lab in Thousand Oaks, while an in-home sleep study can be completed in your own home. An In-Center sleep study is the most effective way to diagnose a sleep disorder. These overnight studies take place in our Thousand Oaks sleep lab. When you arrive at our facility, you are provided with a spacious, comfortable private room like you would find at a hotel. With easy access to a shower and restroom, you’ll have all the amenities you need to get a good night’s sleep and complete your study. An in-home sleep study is a convenient option if you are unable to spend the evening at our Thousand Oaks sleep center. If our sleep experts recommend you take a home sleep test (HST), we will provide you with the equipment you need, as well as show you everything you need to know to administer the test on your own from the comfort of home. What Should I Expect During My In-Center Sleep Study? Several small sensors will be placed on your scalp, face, chest, abdomen, and legs. These sensors will monitor your eye movements, muscle activity, brain waves, heart rate, airflow, respiratory effort and oxygen levels throughout the entire night. Equipment is easily disconnected if you need to go to the restroom in the middle of the night. Based on your physician’s order and the finding of the sleep study, sleep therapy (positive airway pressure/PAP) may be initiated in the middle of the night. You will have a private bedroom and restroom facilities are nearby. The recording equipment is continuously monitored in a separate room throughout the night with a technologist who is always available to assist you. Visual recording of your sleep study may be in progress throughout the night. Can You Help Me With My CPAP Machine? Of course! Your continuous positive airway pressure (CPAP) machine and supplies must be in optimal shape to ensure your CPAP therapy is effective. If you have any questions on how to setup and use your CPAP device, the experts at our sleep center in Thousand Oaks can help. We’ll ensure your device is comfortable, properly set up, and that your supplies are in good shape. It’s important to remember that some of your CPAP supplies need to be replaced every 90 days. If it’s time for you to order replacement supplies, you can do so directly from our online store at any time. It’s easy, convenient, and we’ll ship your supplies directly to your door. Which Communities Does the Thousand Oaks Sleep Center Serve? I’m Not in Thousand Oaks. What Are My Options? With 20 locations throughout California, it’s easy to find an Advanced Sleep Medicine Services location. You can find the location closest to you here. I Have More Questions for Your Sleep Experts. What Should I do? If you have more questions, we can answer them for you—request your consultation now! Are you ready to sleep better, breathe easier, and take control of your life? The experts at our Sleep Center in Thousand Oaks are here to help—request an appointment today! 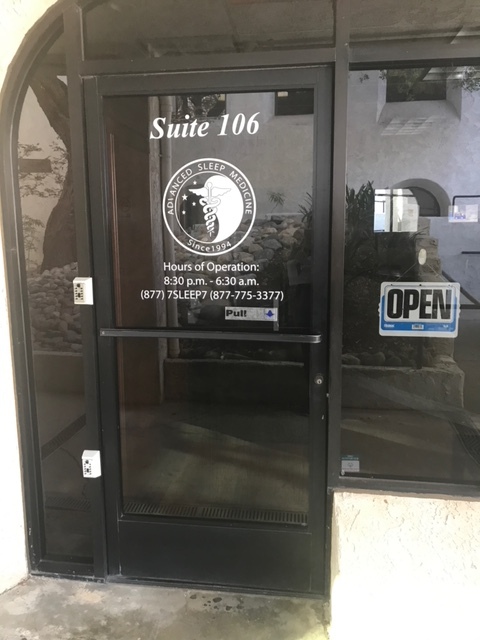 Our sleep center is located at 299 W. Hillcrest Dr., Suite 106 in Thousand Oaks. There is a driveway sign. Please park in the upper lot, behind the building since it is closer to the sleep center. The door to our suite faces the upper parking lot, behind the building. Walk down the steps from the parking lot to the suite. You do not need to enter the building lobby. If you have any trouble, you can reach our after-hours patient support line at (877) 775-3377 extension 180 between 8:00 pm and 11:00 pm. We look forward to seeing you!